The Nissan 370z was released in the fall of 2009 sporting a new look and incorporating Nissan's VQ37VHR 3.7L V6 power plant currently in use in the 2008+ Infiniti G37. Available power will be in the 330hp+ range. 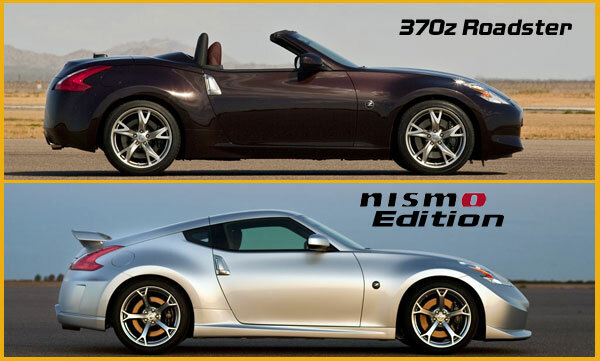 370zClub.org provides Nissan Z-Series drivers with accurate technical information, active discussion forums, discounts on 370Z performance parts and accessories, a friendly and supportive community, classified ads, regional and national enthusiast events and the latest news from Nissan Motorsports. Information © Copyright © 2000-2018 by NICOclub - All rights reserved. 370z Forum / NICOclub assumes no liability for damages, nor injury for anyone following the information contained within this site nor any affiliated site.